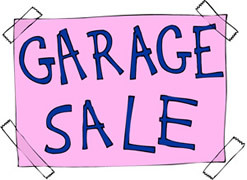 The Whitmore Park Community Association is once again coordinating a Community Garage Sale Day. To participate all you need to do is agree to hold your sale on June 8, 2019 and register your address with us by emailing newsletter@whitmorepark.ca. The sale day will be advertised city-wide. By registering your address with us you agree to the publishing of your address on the WPCA website.